Titanium has acquired a somewhat legendary reputation in the past decade and a half. Relatively unknown by the general public until the early ‘aughts, it became a marketing tool to add a “cool factor” to everything from credit cards to golf clubs. Due to the hype, many folks assume that Titanium equates to invulnerability. However, the truth is, Ti has very specific properties that give it an advantage in certain narrow uses. Roughly half the weight of steel, it has a better strength to weight ratio. It has 60% more density than aluminum. What this means is that titanium on a per-volume basis is inferior to steel, but will be lighter. The most common alloy is designated 6-4, (also known as Ti6Al4V), which contains 6 points of Aluminum and 4 points of Vanadium. The alloying elements improve both the ultimate tensile strength and the hardness. Even alloyed, however, Ti is unable to achieve significant hardness compared with steel. Titanium is also highly resistant to corrosion, and is used extensively in salt water environments. This is actually due to a very durable corrosion layer (Titanium Oxide) that forms very quickly when Titanium is scratched. Non-magnetic, Titanium finds use in mine probes. As armor, Titanium works well in certain applications. As lightweight trauma plates in concealable soft armor, it is nearly unrivaled. In thicknesses of 2.1mm, it exhibits standalone level IIIA performance, and has no issue with rust. As rifle armor, it leaves much to be desired. Against pistol bullets, Titanium performs well because of its combination of tensile strength and toughness. Rifle bullets, because of their high velocity and small frontal area, punch through Titanium more easily than an equivalent thickness of still. A titanium rifle plate would need to have a thickness of 11mm to be equivalent to a level III steel plate. This would be extremely expensive, compared to steel, since titanium is currently about 14 times more expensive than steel. Though there are some manufacturers that currently make titanium containing rifle plates, they are hybrids, with a steel strike face. The titanium then functions as a backing material, where its properties are more appropriate. In vehicle armor, Titanium has gained greater acceptance, simply because it can be utilized in thicker cross section. In this application, it is superior to steel in many ways- it is much lighter, and corrosion resistance. In thicker section, its resistance to typical threats faced by vehicles is impressive. To sum it up: titanium is a good choice as trauma plates for soft armor vests, but there are better options for use in rifle plates. The final class of materials for use in rifle plates is a familiar face- UHMWPE. Despite its drawbacks in soft armor format, in hard/rigid applications, this material does not show as many weaknesses. For reasons that are still not fully understood, the heat tolerance of PE hard armors is much better than soft armors (showing a danger zone of 195-200 degrees F rather than 180 F). This may be due to the typically thicker profile, thus providing a larger thermal mass to heat (taking longer and requiring more ambient heat to achieve irreversible denaturing). Also, contact shots are not as likely to have such a high risk of penetration due to the physical properties of a rigid defense compared to a flexible. In addition to finding wide application as the backing material in many (if not most) ceramic plates (and a VERY effective steel/UHMWPE hybrid by Armored Mobility, the TAC3S), it is also used as the sole material in a significant number of plates by various manufacturers. In a hard armor format, UHMWPE offers some notable advantages: it is positively buoyant (it floats), is immune to acids, zero spallation/splash, and makes for the lightest rifle plate available. The drawbacks are moderate-high cost, and the thickest profile of any rifle plate (some have likened it to wearing a Wheaties box on your chest). In addition, UHMWPE plates typically do not stop M855 Green Tip ammunition, while having no difficulty with M193 (the opposite of most steel plates). UHMWPE plates stop rounds by means of frictive braking. The fibers of UHMWPE squeeze and apply compressive braking force to rounds that strike. Generally the projectile is embedded about halfway into the armor when it is stopped. This leads to no splash or spallation, since the round remains mostly intact. M855 is thought to penetrate due to the incompressibility of the steel penetrator. Regardless of the mechanism, it is important to take into account when considering potential threats. Due to their properties, some applications (maritime, swimmers) tend to benefit from their use. If the thicker profile is not a hindrance, they can be quite effective. As always, assess your needs and potential threats before making a decision. Up until the 1940’s, steel was one of the primary materials in both offensive and defensive arms. During WWII, a new ceramic material was developed for use in antitank projectiles, called Tungsten Carbide, or WC. These penetrators were heavier, harder, and denser than anything that had been used up until that time. At the close of the war, WC was commonly found in most high velocity anti-tank round cores. WC was extremely hard (much harder than steel plate), but it was also extremely heavy. For armor, at least that worn by personnel, a lighter, yet still extremely hard material was needed. Silicon Carbide, and later Boron Carbide, were first used on armor during the Vietnam War, in derisively named “Chicken Plates.” These were very heavy, and typically were used as improvised seats by helicopter crews to protect against ground fire. Another material also started to find use in armor, specifically Alumina (Al2O3, which is very similar to Sapphire). Each of these ceramics underwent significant improvements over the years, both increasing their purity and density (higher purity and density result in better material properties). Ceramics stop projectiles by a different mechanism than steel plates. While steel plates rely on their combination of hardness AND toughness to cause the impacting round to mushroom, fracture and subsequently splatter (with attendant danger to the wearer), ceramics use a combination of yawing and eroding to render the projectile ineffective. Since the ceramics used in rifle armor are all up in the high 8’s or low 9’s on the Moh’s hardness scale, there are few projectiles that are harder than they are (certain WC cored rounds come close). When a rifle round hits a ceramic plate, there is localized fracturing (causing the projectile to dump massive amounts of its energy) of the ceramic. The projectile will typically yaw off-axis, increasing its frontal area, as well as being eroded by the very hard ceramic particles. These residual projectile pieces are then caught by the backing material of the plate, typically rigid aramid or UHMWPE laminate. It is important to note that UHMWPE laminates are wholly inappropriate for use in soft armor, due to their sensitivity to heat, poor resistance to contact shots, and poor breatheability. In a hard armor format, it appears that their heat sensitivity is diminished, and breathability is not an issue. It is still not recommended to leave your hard armor containing UHMWPE (either as part of a ceramic plate, or pure UHMWPE plates, more on those next time) in a high heat environment. Specifically, soft armor is at risk at or above 180 degrees, while hard armor is at risk above 200 degrees. Due to their nature, and depending on their construction, ceramic plates still may experience front face spall, usually consisting of ejected ceramic particles. Ceramic plates give wearers the option of upgrading their protection level to stop AP (Armor Piercing) rounds that typically blow right through level III plates. Level IV will stop M2AP (black tip) .30-06 rounds, which contain a VERY hard steel penetrator (often found undamaged after punching through up to 1/2″ mild steel). The level IV ceramics erode and yaw this round, increasing its frontal area, and making it easy for the backing material to catch it. Ceramic plates are typically built using one of two types of construction: monolithic or mosaic. Monolithic utilizes a single piece of ceramic, while mosaic uses multiple smaller tiles arranged and bonded to the backing layer. Monolithic plates are typically much more expensive, since sintering (hardening) larger plates requires larger autoclaves. Much more QC expense is also incurred, since if a larger plate has a flaw, the entire piece is discarded. This expense is compensated for, because monolithic plates can be built with complex curvature or shapes, compared to mosaic. Mosaic plates are conversely more affordable, using many smaller tiles arranged together and bonded with an adhesive, typically epoxy. It is typically more difficult to form complex plate shapes with mosaic construction. Alumina (Al2O3): A whitish ceramic with a good combination of hardness (mid to high 8’s on the Moh’s hardness scale), toughness, and cost effectiveness. This ceramic is still the most-used for general low- to mid-priced ceramic plates. With good design, Alumina plates can be quite protective and comfortable. Chemical structure very similar to Sapphire. Silicon Carbide (SiC): A dark grayish ceramic (with a bluish tinge), this ceramic is more expensive, and harder than Alumina (Moh’s 9). Also slightly lighter, it finds use in medium to medium-high price point level IV plates. Boron Carbide (B4C): The most expensive ceramic used in armor, and the second hardest material on Earth (behind diamond), it is also much lighter than Alumina. This material is used in the highest-end rifle plates, and can be enhanced with new methods (such as sinterless pressing) to achieve nearly 100% theoretical density (meaning there are no gaps between particles). A dark gunmetal colored ceramic. As with all materials, ceramic has its advantages and drawbacks. It is very effective, on a per-weight basis, compared to steel (can be up to 40% lighter than steel plates). It can be made to withstand much more potent threats, such as black tip AP rounds (which again, blast straight through level III). And finally, ceramic monolithic plates can be shaped into complex curvatures, far exceeding the capabilities of steel, to better conform to the shape of the body. With these advantages come weaknesses- ceramic plates are much thicker than steel, making them more difficult to wear concealed. They are MUCH more expensive, some 6th gen ceramic plates pushing $1.5K PER PLATE. And finally, their major Achilles heel is their fragility. Ceramics, especially monolithic plates, are susceptible to rough handling. Cracking, chipping, or even complete destruction of the strike face can occur if the end user mistreats their armor. It is recommended to floroscope (X-Ray) your armor once per year if at all possible, to detect cracks. I will be making an effort to review several different options for ceramic rifle plates (as funds permit) over the next few months. As always, it is imperative that the end-user assess their needs and mission requirements when making a determination of what sort of plates to purchase. Each subset of plate types has their definite advantages and disadvantages. In the next post, we will examine the final plate material. Until then, cheers! Steel has been the material of choice for body armor for centuries, ever since the method for hammering out large, uniform sheets of bloomery iron was rediscovered in the 13th century. Today, advances in steel technology have continued to made this material viable as a protective material. Steel plates find use in concealable armor as trauma plates, generally having a thickness of 1-3mm. These plates can provide everything from trauma-only, to standalone IIIA protection. Sizes range from 5″ X 8″ to 8″ X 10″. There are a few notable “in between” plates, such as the Second Chance K-30, which will stop 7.62X39 soft core. Today, most steel plates will be of the “rifle” persuasion. It is important to note that currently, ALL steel rifle plates for personal protection are level III at the highest. Steel plates that will provide level IV (AP) protection are prohibitively heavy for use as wearable armor. It is important to remember that level III spec calls for protection vs. 6 rounds of M80 ball @ 2750 fps. This means that many round can (and have) been able to defeat level III steel. A few years back, a minor scandal erupted when plates from a well-known manufacturer were found to be easily penetrated by M193 ball above 3000 fps (ironically, I had experienced this same phenomena a week prior to this revelation, and chalked it up to a bad batch of steel. M193 exceeds the shear strength of AR500 steel, and will cause shear-plug failure in the plate. Think a paper hole-puncher, but with steel. The full mechanism of why/how M193 penetrates steel armor is not fully understood, but there are several working theories (to be expounded upon later). The upshot is, make sure when you buy steel plates, they have either been subjected to additional proof/bench testing, or do not trust them to stop anything but M80 ball. Steel plates are nearly always sold as “ICW” (In Conjunction With), but I *ALWAYS* advise wearing soft armor behind them. This is for additional blunt force trauma protection, as well as catching any back face spallation (a possibility with all rifle plates). Steel for rifle armor typically falls into a very specific hardness range, generally 500-600 Brinell (which is VERY hard as far as steel goes). AR500 (“Abrasion Resistant,” 500 Brinell) is the most commonly used commercial steel for rifle armors. It has good uniformity, low cost, and works fairly well. There are a few other options regarding steel plates, specifically Bainitic steel, and HHS (High Hardness Steel). Bainitic steel utilizes a special heat treating process to produce a particular crystalline phase within steel, called Bainite. This material acts as reinforcement to the crystal lattice of steel, rendering it stronger and tougher than normal quenched/drawn steel plate. At this time, it is still not widely used in personnel armor, though it has found growing use in vehicular armor. Bainitic armor is an excellent choice for personal armor, though the price is typically about 1.5 times higher than normal AR500. HHS is another option, and describes steel that is hardened to 600 Brinell or above. This allows it to be made thinner than AR500 while having greater ability to stop projectiles. It does have issues with cracking due to its extreme hardness, and is approximately twice as expensive as normal AR500 steel. Steel plates are extremely durable, often capable of absorbing tens and even hundreds of hits while still retaining ballistic protection properties. With no fragility issues, steel plates are a good choice for use in scenarios calling for extreme ruggedness. With their thin profile (unless coated with a polymer/elastomer finish), they make a good choice for concealable/PSD use. Steel plates are also the most affordable/cost effective rifle armor solution. One of the biggest drawbacks of running steel plates is their heavy weight. Most 10″ X 12″ steel level III plates weigh around 8 lb. EACH. There is also the issue of rust and corrosion. Finally, as has been discussed before, steel plates suffer from front face splash/spall. Projectiles stopped by the armor will splatter, sending clouds of high velocity core and jacket fragments at a 90 degree angle to the impact. This endangers the wearer’s face, throat, and extremities, and precautions need to be taken by the wearer (https://drmorgear.wordpress.com/products/spall-guards/). In closing, it is important to evaluate your needs, and determine if steel plates are the correct choice. Next time, we will look at ceramic plates. Now Available: Tactical Rock Slings! Now you can own “The AK of the Ancient World.” Simple, inexpensive, and fun to use. 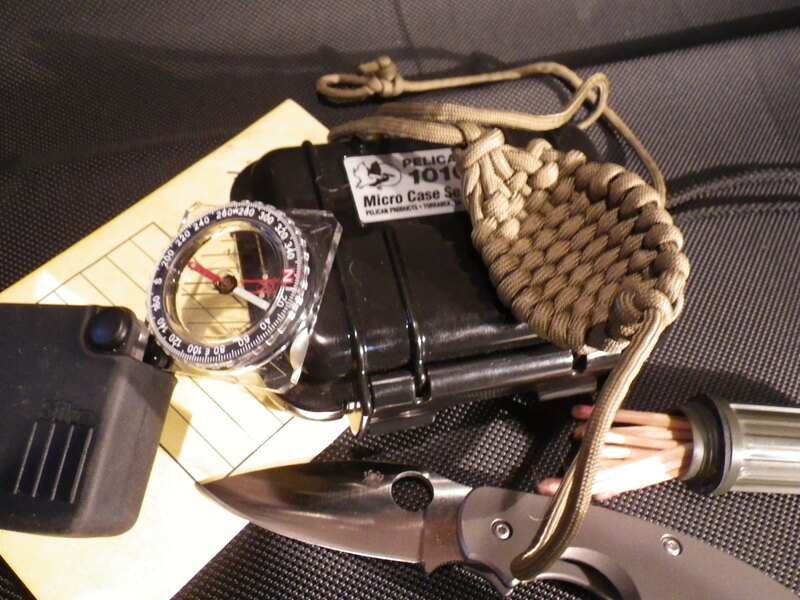 Made with Coyote 550 Cord (and of course, Coyote makes anything “tactical”), these slings weight nearly nothing and fit nicely in your pocket or BOB. The pockets are sized for up to 2 oz rocks, golf balls, and 1-2 oz, lead “egg” style fishing sinkers (a good modern duplicate of the preferred ammo of the modern world. With practice, you can sling a rock 100 yards, and a lead sinker up to 400 yards (practice helps, of course). Ammo is cheap (free), and these are a blast to use. At $22 each, get several, because these usually disappear with your friends and family. As we transition from our overview of soft armor, the microscope is focused on the question of rigid defense. An interesting side note is how much history reflects the current situation when it comes to protective gear. Typically, a man-at-arms from the 14th century onward would wear a maille, garment (byrnie (shirt) or hauberk, coif, and sometimes leggings), with hard defenses over the top. Today, the same system works well, with soft armor providing the correlate to the maille, and hard/rifle armor standing in for the plate defense. When considering modern rigid armor, it is important to have a thorough understanding of threat level ratings and the needs of the end user. There is a common misconception that ALL hard armor will provide protection against centerfire rifle rounds. This is far from the truth. 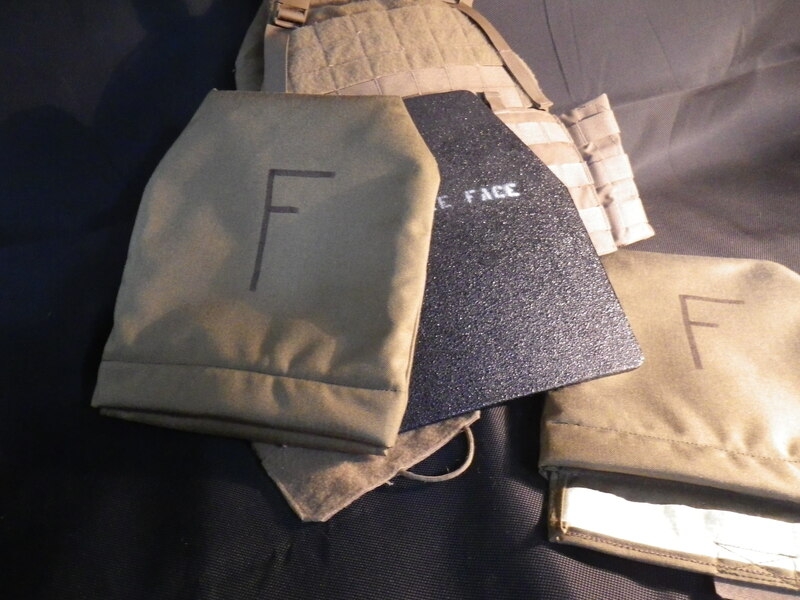 Rigid trauma plates have been utilized in concealable soft armor for decades, typically made of steel or titanium. While some of these legitimately increase the threat level rating of the armor they are worn with (and some are even standalone rated themselves), they do NOT give protection from rifle fire. Hard plates stop projectiles using a different mechanism from soft armor (which must only contend with pistol rounds). When soft armor is hit with a round, the fibers interact with he (relatively) large frontal area. Like a net, these fibers catch, slow, and stop the round, absorbing the kinetic energy by elongating (very slightly), and “fiber pullout.” The later is very similar to “playing” a fish on a fishing line. By allowing line to pay out, under drag, the fish is depleted of energy. The more fiber pull-out force is applied to the round, the more efficiently it is stopped. Rifle rounds, because of their narrow cross section, do not engage enough of the fibers for them to apply a stopping force. Centerfire rifles will not even “see” soft armor. Hard plates are required, and stop rifle rounds using three distinct methods (sometimes a combination of two of three): mushrooming/deforming, shattering/yawing, and frictive braking. Different material plates have different effects, and we will look at specifics in later posts. There are some specific plates that will stop lead core 7.62X39 rounds (The Second Chance K-30 plates specifically), but my personal recommendation is thus- if you are wearing rigid plates larger than 6″ X 8,” they should be rated a minimum of level III. A side note is neccessary- for some time, with increasing frequency of late, manufacturers have started releasing level IIIA hard plates. I am lukewarm on these, for the simple reason outlined above. IF YOU ARE WEARING RIGID PLATES, YOU MIGHT AS WELL DERIVE RIFLE PROTECTION. The only scenarios that these plates would be appropriate might be if you were fairly certain that rifle rounds would not be encountered, or if you were looking for a moderately concealable plate to protect you against blunt force trauma (bats, fists, knives) over and above what your normal concealable armor provides. About those ratings. NIJ ratings are the most commonly encountered, and can be somewhat confusing. Level IIIA is a soft armor rating, and provides protection from hot .44 Magnum and 9mm subgun rounds (typically at velocities found in 16″ barrels). Level III is a rifle/hard armor certification, and the spec is: 6 rounds of M80 ball at 2750 fps, fired at a distance of 15 feet, striking within a 6″ circle. To further confuse the issue, manufacturers generally specify whether the armor is “ICW” (In Conjunction With), or “standalone.” ICW requires soft armor (usually level II or IIIA) to be worn behind the plate in order to meet the full spec. This can be for several reasons- first off, ICW plates can be thinner in profile, usually sacrificing some of their backing material (usually a rigid aramid or UHMWPE composite). Secondly, ICW plates may not make their BFD (backface deformation) numbers without some additional padding behind the plate. Finally, the ICW plates may occasionally have issues with backface spall/break through (rounds that either transmit enough energy to cause ejecta, or barely penetrate). What this means is, if it says ICW, believe it. Wear soft armor behind your plates. I go one step further, and recommend you wear soft armor behind ALL hard plates, even stand alone. The reasons for this are: the added weight and bulk of 4th and 5th generation woven p-aramid plate backers is negligible, and having the extra padding (in the event of a ballistic strike) will be MUCH appreciated after the fact. Level IV plates exhibit a higher nominal rating than level III plates, but many make the mistake of assuming that they are “better.” Better, as always, is subject to the requirements of the end-user. The spec for level IV plates call for stopping ONE round of M2AP Black tip, at 2800 fps, 25 feet from the muzzle. There is no requirement for more than one round, so hypothetically the plate could stop the round and disintegrate into a fine powder (generally, they won’t). IF you expect to face AP threats, then IV makes sense. But if you only anticipate standard lead or mild-steel core threats, III makes more sense (and usually is more cost-effective). Also, it is important to note the specs. PAY ATTENTION to the specs, as some rounds that should be “expected” to be stopped will penetrate. III is M80 ball, IV is M2AP. Manufacturers will often include an addendum to the certification if they have bench/proof tested other rounds over and above the NIJ rating. More details forthcoming in future posts. Next, we will look at the various plate materials, their relative benefits and drawbacks, and how you can choose the best for your intended use. From time to time, I will post information about the cutting edge, or recently developed armor technology. The first installment will focus on carbon nanotube armor. Carbon nanotubes are a fairly new material, a dividend from the growing field of nanotechnology (the technology which focuses on nano-scale structures and engineering). Based off of the C60, or “Buckyball” molecule, nanotubes consist of sheets of carbon atoms rolled into tubular structures. This morphology gives them unheard of tensile strength, currently the highest of any known material. So strong are carbon nanotubes, that they are projected as being the only current material suitable for use in the tether ribbon for the upcoming Space Elevator (using unidirectional sheets of nanotubes in a ribbon 8 feet wide). 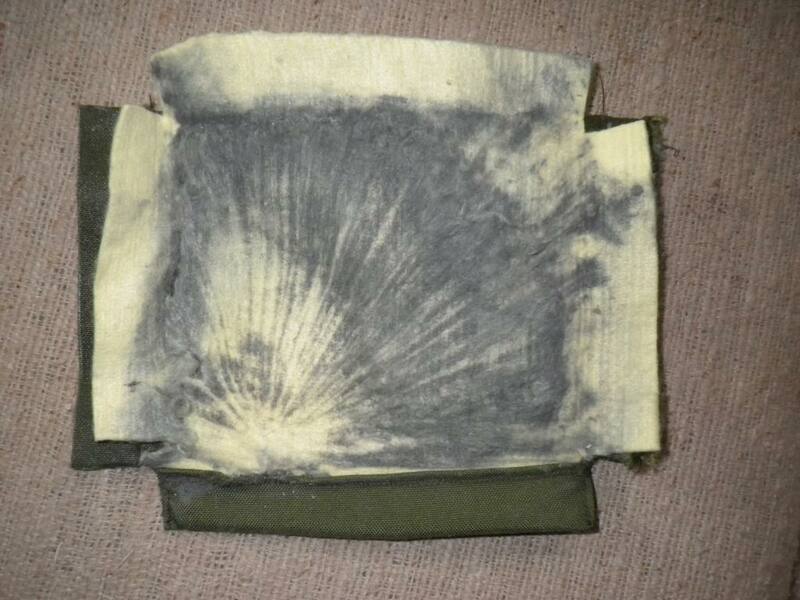 The major stumbling block to widespread use of this material in body armor is COST. Producing even a few ounces of nanotubes is still prohibitively expensive. And producing a continuous fiber that can then be woven into a cloth is still at least a decade away. Even so, several companies have started marketing “Nanotube Armor,” which is, unfortunately, not 100% true. My assessment of these armors has shown them to consist of a ballistic package made up of UHMWPE laminates, with a single sheet of nanotube-doped UHMWPE on the strike face. While this enhanced material does have higher ballistic effectiveness, the armor is hampered by the known flaws and weaknesses inherent in the UHMWPE laminates. There is one area that nanotubes can and do have a significant affect on armor, and that is hard-face armors. Several companies are currently producing ceramics (including Boron Carbide and Silicon Carbide) containing both nanotubes and other nano-scale high-strength whiskers. This acts, on a much smaller scale, as rebar in reinforced concrete, allow for an increase in fracture toughness of the ceramics, which in turn improves the protective qualities of the armor. This subject will be touched upon again, when hard armors are discussed. Ever since the late 15th century, with the advent of powder-propelled projectile weapons (and indeed, pre-dating that time with crossbows), armor smiths have sought a way to ensure their product will resist (within reasonable limits) the injurious tendencies of fast moving bits of metal. Smiths making plate armor would often shoot the finished product (with crossbow bolts prior to lead muzzle loader round balls arriving on the scene), and upon visual confirmation of a successful “stop,” would engrave their maker’s mark, showing the armor had passed. This methodology was (and is) referred to as “bench testing” or “proof testing.” An article of protective gear is subjected to one or more ballistic events, and when it either passes or fails, provides the maker, and the end user, with evidence that it is effective, or “proofed.” Many modern firearms bear similar proof marks after being subjected to equivalent testing. Bench testing is still used today, and while it has certain advantages, it also has some notable drawbacks. For instance, if large numbers of finished articles need to be produced, it becomes ungainly to batch test each lot (a neccesary requirement to verify efficacy of the finished product). It is also subject to the whims of either the maker or the end user. Bench testing is much more suited to custom, or small-batch manufacturers of armor. Bench testing remained the norm until the 70’s, when it became necessary to certify large numbers of concealable vests. The National Institute of Justice (NIJ) scrambled to come up with a way of testing and certifying large quantities of vests. The “NIJ Rating” methodology was created, which should be familiar to everyone with any exposure to armor. The rating levels go from I to IV, and are directly proportional to what threats are stopped. I-IIIA are for soft armor, while III and IV relate to hard (rifle) armor. The tests, in a nutshell, subject a batch of test armor articles to successive rounds of ballistic testing. This ranges from 2 to up to 240 rounds fired, and newer iterations of the tests have become more stringent. However, there are some issues with NIJ testing, which will be discussed in a later post. In just the past few years, two new test protocols have appeared on the scene: the FBI and DEA test protocols. Publicly released in 2006, the FBI protocol was a vast improvement over the NIJ protocol, subjecting the armor to much more realistic and useful tests. In addition to simply shooting the armor, the FBI/DEA protocols subject the armor to extreme heat, cold, immersion as well as conditioning the armor and subjecting it to flash/flame. While there are still some issues (one in particular that is shared by the NIJ tests), they are far superior to the earlier protocols. Moving forward, there is still room for improvement regarding armor test standards. This has been a brief overview of the most typical test protocols for modern body armor. In future posts, more detailed analysis of each protocol will be given. Thanks for reading. Version 4.2.2 Splash/Spall Guards Now Available! Steel protective plate are a great option if you are looking for both thin profile and affordable costs, but do have a well known issue that can be hazardous to your health: bullet splash (also known as front-face spall). Splash is the result of projectiles breaking up on impact with the steel plate (and in fact, is part of the plate doing its job to save your life). This cloud of razor sharp lead and copper poses its own threat to life and limb when exiting the top, bottom, and sides of your plate carrier. This should be taken into consideration when purchasing/using steel plates (and even many ceramic plates). Other solutions negate the advantages of steel plates, by making them thicker and even heavier. They are also difficult to repair or replace, negating another of steel’s advantages (its durability/multi-hit properties). Look no further than the D-Rmor Gear Splash guards, custom made and continually improved since 2007. In addition, they carry a 100% lifetime guarantee: if they are ever used in a documented duty/self defense situation, they will be repaired or replaced, for the life of the product, fully transferable. Available in Coyote Brown, and custom made to fit your plates! Check out the link for more information and to get your set today!